The history of online casinos is a rather recent one. Thanks to advancements in technology, all you need is power and a stable internet connection to enjoy gambling in online casinos. However, the world of casinos has always rocked with controversies. Since its early days, casinos were one of the most scandalous places in cities. Yet, this recreational gambling bliss has survived through the centuries. We have witnessed a tremendous growth in the number of online players throughout the years. According to Azoth Analytics Research report, the online casino industry is growing at a ‘noteworthy rate’. It is not uncommon to find stirring casino scenes in some of the greatest books and films of all time. ‘The Godfather’ books and sequels and classic movies like Rounders, Casino and Ocean 11 all have stunning casino scenes. As expected, the Hangover is unlikely to miss a wildly fun casino scene. So, what is it about casinos that make them so interesting? How did the glitz and glamour of gambling begin? The world’s very first online casino was created in 1994. The Carribean nation was the first country to allow for laws that make it legal for operators to apply for licenses. The Caribbean nations where online casinos started were Antigua and Barbuda. Microgaming develops their first gambling software in 1994. 1995 saw Cryptologic develop encrypted communication protocols. 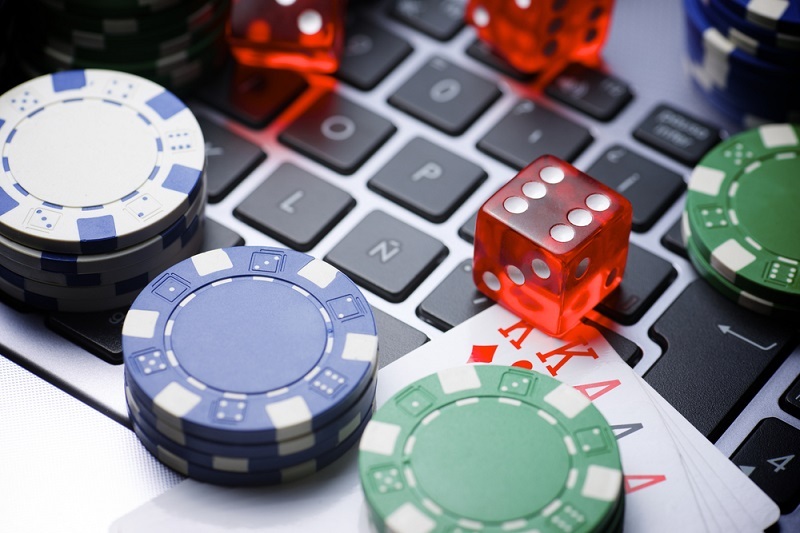 The encryption highly improved the online gambling industry by securing financial transactions. 1996, InterCasino offers the first money wager. The Casino goes on to provide 18 games and access to play the National Indian Lottery. 1996, The Kahnawake Gaming Commission forms to regulate and license online casinos. 1998, Microgaming is the first to launch the progressive slot jackpot called Cash Splash. 1998, Planet poker is launched to become the first ever internet poker room. December 1998, there are over 700 real-money casinos on the world wide web. 2000, accumulated revenue for online casinos reaches $2.2 billion. Alderney and Gibraltar start giving licenses to international territories and online casinos go global. 2003, Cassava Enterprises launches 888.com, after the Chinese Lucky numbers. The 2005 UK Gambling Act represents Europe’s most liberal gambling legislation. 2006, The Unlawful Internet Gambling Enforcement Act (UIGEA) makes it illegal for banks to process online casino payments. 2008, global online gambling revenue rises to $21 billion. 2010, PartyGaming merges with Bwin to form the largest publicly traded gambling company of all time. 2011 was ‘Black Friday’ for US poker players as the US government shuts down Pokerstars, Cereus and Tilt Poker. 2011, A Norwegian student makes history by winning € 11.7 million on Betsson.com when playing NetEnt’s progressive jackpot slot; Mega Fortune. 2013, Juniper Research reveals over $10 billion in terms of profits were made in the mobile casino industry. 2013, the industry successfully diversifies to social gambling. You can play online casino games for free. Most casinos offer a standard gaming experience in the form of a demo. The demo version is perfect if you want to play for fun without spending a dime. Studies reveal that there are more male online gamblers than female. However, the first ever legal casino license was given to a woman; Mayme Stocker in 1920. The name of her casino was the Northern Club. Monaco is widely known for its luxurious Monte Carlo casino. Contrary to expectation, citizens of Monaco are banned from gambling in Monte Carlo Casino. Card counting is a legal and original strategy in blackjack but casinos all over the world try to ban it as much as possible. A single deck of playing cards can combine to form around 2,598,960 different card hands. Roulette is also known as the ‘devil’s game’ because all it’s numbers add to 666. That is the number of the beast, according to religious mythology. The nick-name ‘blue-chip’ for online casinos originates from the colour of roulette chips; blue, white and red. In 2015, a slot player won £13.2 million on Mega Moolah progressive slot with just 25 coins. 90% of players go to online casinos while 10% still prefers landbased casinos. Lotteries and slots are the most popular kind of online casino games. There are currently more than 2000 online casinos registered on the internet. You can now access your desired casino game no matter the place or time thanks to mobile casino games. The history of online casinos is full of impressive ‘firsts’. This means that the industry is growing at a fast rate and we can only cross our fingers to see what the future brings. Join a casino if you want to have some fun on slot reels, a poker table or bingo room. You never know if you could be the next Jon Heywood (the newbie winner of a £18 million slots progressive jackpot). He only played for 30 minutes!